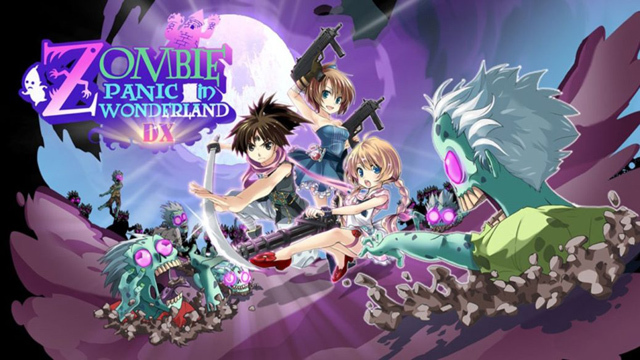 For almost a decade, Akaoni Studio’s Zombie Panic in Wonderland has been available in a zombie-like stasis. 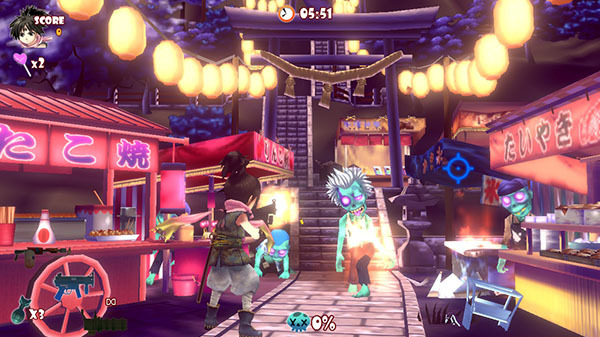 The goofy zombie light gun game has been sold in different versions across WiiWare, Nintendo 3DS, and mobile. Who doesn’t love some good, schlocky fun shooting zombies, especially while playing as popular fictitious characters like Dorothy of Oz or Snow White? January 2019 saw the surprise launch of the enhanced DX version on Nintendo Switch, an enhanced edition of the WiiWare original previously seen on 3DS and mobile. While you would think Zombie Panic in Wonderland DX would be perfect on Switch, I find it to be a tragic waste. Akaoni Studio announced the Switch port of Zombie Panic in Wonderland DX the day before it launched, which in hindsight was not a good omen. The core content across its Arcade and Story modes are still present, but something about it is off. 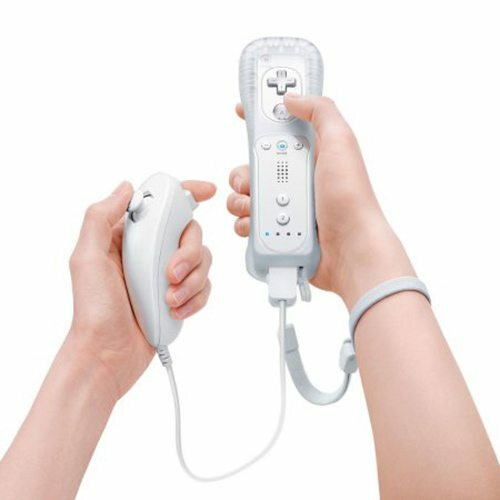 The original Wii release makes use of the Wii Remote for aiming, and the Nunchuck to move your character, a perfectly intuitive control set-up for a console-based light gun game. While the Switch’s Joy-Cons presented the team with the opportunity to use their gyroscopes for aiming to emulate that set-up, instead we have a dodgy mix of traditional and touch controls that alternate between limiting, clumsy, and incredibly awkward. Contrary to Akaoni’s press release, the Switch port does not have the “control scheme that best suits your playstyle”. My preference in a game like this would be to have motion aiming, as I’ve seen in other Switch games like World of Goo and Splatoon 2. When playing docked in Zombie Panic, you can use either the Joy-Con grip or Pro Controller, moving with the left stick and aiming the reticule with the right. Turns out this is unbelievably uncomfortable for a light gun shooter, a genre which mandates precision. Not all players like forced motion aiming, but not having the option to use some form of motion control here is where the problem lies. Even the portable-only touch controls stink. In theory, I like the idea of being able to aim and shoot with my finger, and it works, but when I moved the character with the left stick, that input took over aiming from the touchscreen. The mobile versions, which use tilt motion to move the character and touch to aim, work better than this. It’s mind boggling why they didn’t replicate that option on Switch, where it would have worked perfectly in handheld mode. The 3DS version also uses precise touch controls for aiming, but that port also lacked multiplayer, so pick your poison. Still the perfect control scheme for Zombie Panic in Wonderland. Now you can manage your aiming better if you turn the sensitivity way down (much to my surprise), but it’s still not very intuitive as motion aiming would be. Worst of all, you can’t change control options in the game itself, only on the home menu, which is a lame oversight. Little things like this and the controls make the port feel rushed and unfinished. On the plus side, the HD Rumble is nice, even being active when on the menu of all things. Graphically, Zombie Panic in Wonderland DX has its roots on Wii and it still shows with its simplistic character models (particularly the zombies themselves). If you’ve not played the DX version, that just means the art is sharper and there are extra animations now present, but the bump to HD resolution is much appreciated. Fortunately, the art style makes up for its graphical limitations by being bright and colorful. The musical tracks remain the same as ever, and the (often vocal) music gives the levels an eclectic feel, even if the songs themselves can become a little repetitive, being overused across levels in a single zone. It’s funny how the standard-definition Wii version of Zombie Panic in Wonderland remains the definitive version over its later, higher-definition cousins on mobile and Switch. On Wii, it has both the fun co-op play and a perfectly intuitive control scheme. Scarily, with the Wii Shop Channel now shutting down for good, that version will be lost, maybe forever. The Switch version had so much more potential to be as good, quirky fun as it was on Wii, but it feels mangled by the lack of control options that stifle playability. Hopefully, Akaoni Studio can patch the Switch port down the line based on player feedback with more optimal control schemes, to make it the best darn definitive release of a storied WiiWare game.